Does a corporation involved in litigation in the District and Superior Courts of the State of North Carolina have to hire an attorney or may an officer of the corporation, who is not a licensed attorney, appear on the corporation’s behalf? Non-attorney corporate employees are permitted to act on behalf of a corporation in the State of North Carolina in some limited capacities. For example, a corporation does not need to be represented by an attorney in small claims court. In addition, a corporate employee who is not an attorney can prepare legal documents in connection with a business transaction. However, until recently, no case had previously addressed whether a corporation could, through a non-attorney employee or officer, represent itself in litigation in the District and Superior Courts. As a result of the efforts of two Smith Debnam attorneys, Gerald H. Groon, Jr. and Matthew Roehm, that issue has now been addressed. On December 31, 2002, the North Carolina Court of Appeals ruled in the case of Lexis-Nexis, Division of Reed Elsevier, Inc. v. Travishan Corporation that a corporation must be represented by a duly admitted and licensed attorney in any litigation proceeding brought in the District and Superior Courts of North Carolina. Lexis-Nexis provides legal research services. Travishan Corporation is a Delaware corporation doing business in the State of North Carolina. Ms. Florence Amelia Smith is Travishan’s “CEO, President, Chairman, Design Engineer, Theoretical Physicist, Promoter, Administrative Management, Attorney Pro Se, Marketing Researcher, Developer, Editor, Investigative Reporter, Writer, Graphic Artist, and Publicist.” According to Ms. Smith, Travishan Corporation is in the business of developing an “Air Ground Transportation and Security System”, a “Fuel Center for the Twenty First Century”, numerous screenplays, a daily newspaper, and assorted restaurants and property ventures. Travishan Corporation contracted with Lexis-Nexis in order to gain access to the Lexis-Nexis database. Lexis- Nexis subsequently provided $2,922.26 worth of services to Travishan for which it was not paid. As a result, a lawsuit was filed against Travishan Corporation seeking damages in the amount of $2,922.26. Travishan Corporation responded by filing an Answer and Counterclaims seeking to recover damages against Lexis-Nexis in the amount of over four hundred million dollars ($400,000,000.00). Travishan claimed that it had suffered these damages when Lexis- Nexis discontinued its service. The Answer was signed by Florence Amelia Smith with the notation after her name “CEO, President, Chairman”. Below her signature was the notation “Travishan Corporation, Pro Se”. North Carolina General Statute S 84-4 provides that, with the exception of persons appearing on their own behalf, only licensed attorneys may practice law in North Carolina. In addition, North Carolina General Statute S 84-5 states that a corporate entity may not practice law (a corporation may, however, be represented by an attorney who is also an employee of the corporation ). 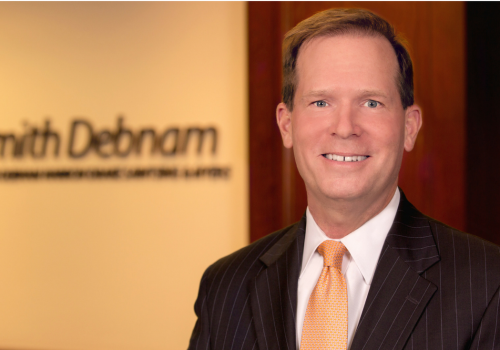 As a result, Smith Debnam attorneys have taken the position that a corporation must be represented by an attorney if it is involved in litigation in the District and Superior Courts of North Carolina. Ms. Florence Amelia Smith is not an attorney. As a result, a motion was filed on behalf of Lexis-Nexis seeking to strike the Answer and Counterclaims of Travishan Corporation. Notwithstanding the arguments and supporting case law, the Judge who presided over the hearing denied the motion of Lexis-Nexis. The Judge made his decision after consulting with the North Carolina State Bar. The North Carolina State Bar advised the Judge that, in its opinion, the appearance by Ms. Smith on behalf of Travishan Corporation did not constitute the unauthorized practice of law. After approximately two years of grinding its way through the trial courts, the case found its way before the North Carolina Court of Appeals. Lexis-Nexis had appealed the decision of the District Court Judge allowing Ms. Smith to represent Travishan Corporation in litigation. The North Carolina Court of Appeals reversed the decision of the District Court Judge by holding that a corporate officer could not represent the interests of the corporation in District Court, even though that officer was the president, CEO, and sole shareholder of the corporation. The ruling in the case of Lexis-Nexis, Division of Reed Elsevier, Inc. v. Travishan Corporation marked the first time that the courts in North Carolina have adopted a general rule that a corporation must be represented by an attorney in litigation in District and Superior Court. The North Carolina Court of Appeals did affirm that a corporation did not need to be represented by an attorney in small claims court. The court also noted that a corporate officer may make an appearance on behalf of a corporation. However, the North Carolina Court of Appeals made it clear that while an agent of a corporation could negotiate with an opposing party (thus making an implied appearance on behalf of the corporation) it did not follow that the agent could also conduct litigation on behalf of the corporation. The case has received significant attention. It was featured on the front page of the January 6, 2003 issue of Lawyers Weekly and identified as the “case of the week” on their internet site during that same week. The case was also analyzed by Thomas L. Fowler in an article appearing in the January 2003 issue of the Campbell Law Observer. It has become a case that is cited on a regular basis by attorneys across the State of North Carolina. Certainly, one of the ruling’s greatest impact will be on small business owners who will be forced to weigh the need to hire an attorney for litigation as an additional cost factor when choosing whether or not to incorporate.